2005 Boards member D-Drive has sent us the Diamond Comics shipping list for next Wednesday, September 11th. Shipping will be final issue of the Monstrosity print collection, featuring the final three issues of the originally-online comic. THE RETURN! 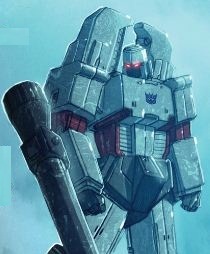 In the early days of the war on CYBERTROIN… MEGATRON’s journey into the abyss is over. OPTIMUS PRIME’s grip on the planet is slipping. GRIMLOCK and the DINOBOTS hold onto sanity by a thread. Now, all the threads draw together… and the world will shudder. Ships with 3 covers in a 1-to-1-to-1 ratio, all by Livio Ramondelli. fantastic covers as usual. I'm buying all of the covers right now and I am very happy with them all. Another week? What is the deal with this schedule, I guess the deadlines are catching up. As always, courtesy of D-Drive. Out next week is….